In its 14th edition, Serious’ Take Five programme continues to be one of the most influential development schemes for the UK’s most talented jazz composer-performers, awarding them the opportunity to take ‘time out’ to develop their craft, build their careers and get their own music out into the world. We are a co-founding funder alongside the PRS for Music Foundation, with the support of Arts Council England and Help Musicians UK. 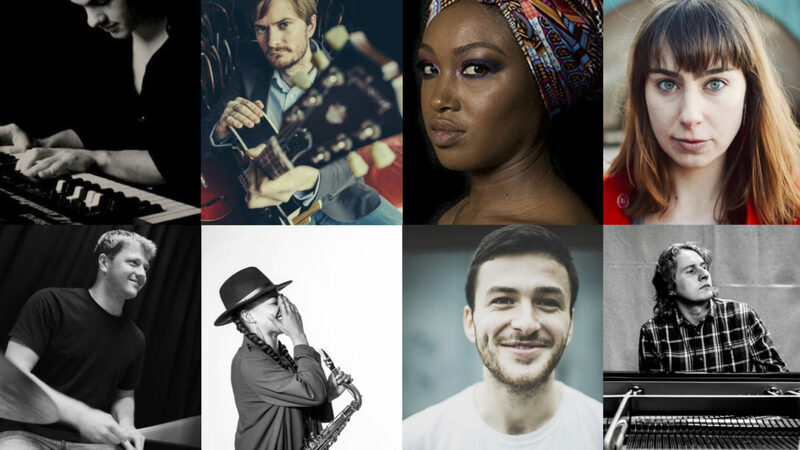 Artists are nominated by an invited range of respected jazz professionals, from which a final selection of eight participants is made. Those selected receive a residential week to work collectively on creative ideas, benefit from business oriented workshops and meet influential music industry contacts. Participants also receive one-to-one sessions outside the residency, with help and advice for specific creative projects. Artists selected for Take Five Edition XIV are: Abel Selaocoe (cello and voice), Cassie Kinoshi (saxophone), Chris Ryan (drums and voice), Daniel Casimir (double bass and bass guitar), Emma-Jean Thackray (trumpet, electronics, and voice), Faye MacCalman (saxophone, clarinet, and voice), Jonathan Chung (saxophone), and Sam Healey (saxophone). Musicians who have benefited from the programme include: Kit Downes (Mercury Music Prize nominee 2010), Soweto Kinch and Leafcutter John.